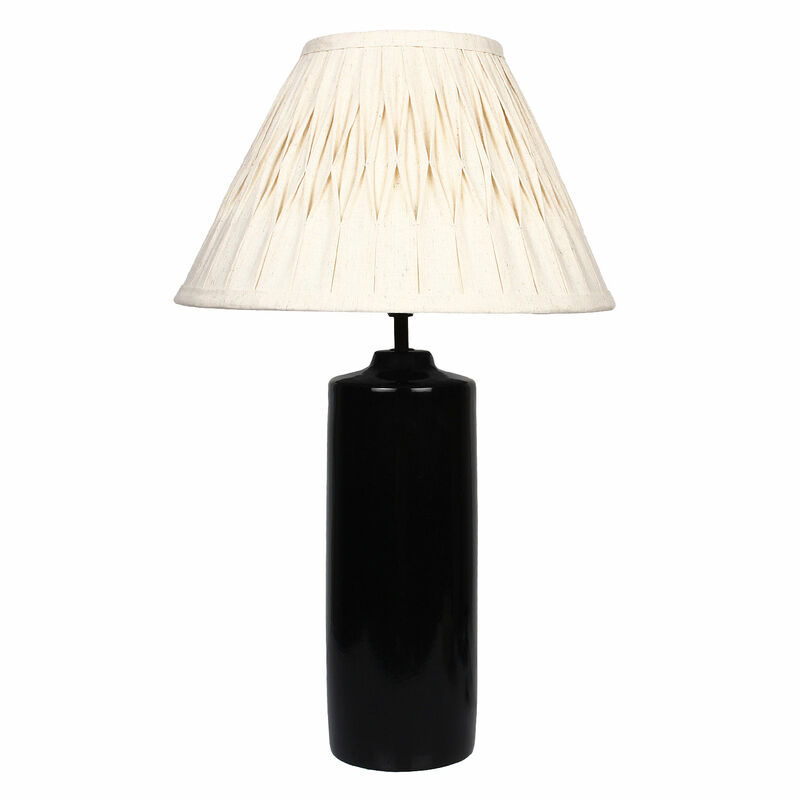 This designer, high end lamp celebrates the exquisite appeal of subtlety. 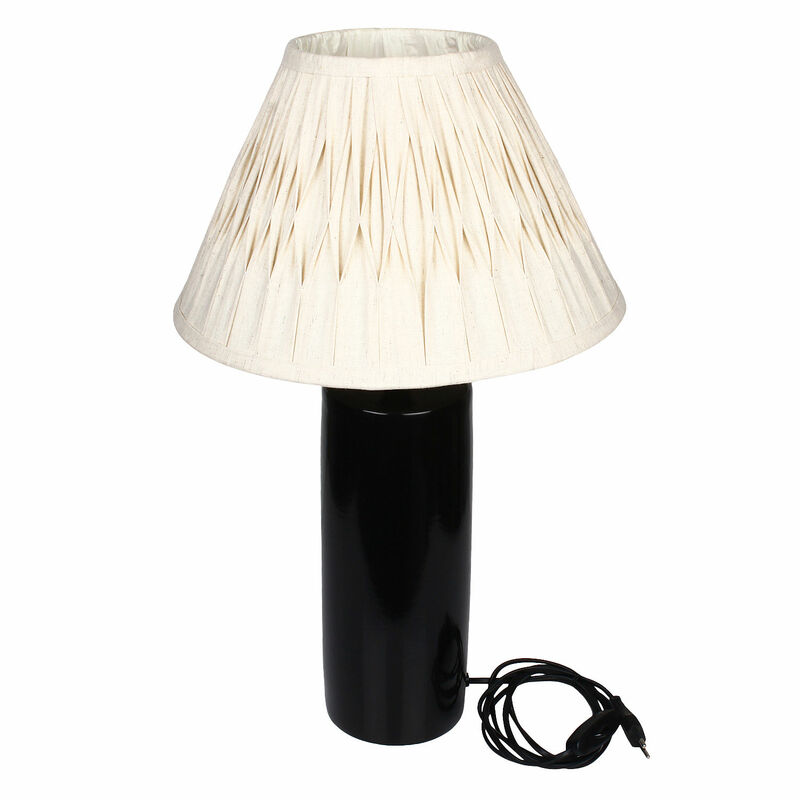 A off White plated shade, adorned gracefully over a delicately hued Black base crafted with Ceramic , this lamp is an embodiment of class and panache. Its 14 x 14 x 23.50 inches structure tantalizes with its soft colors, which brighten your room with warmth, both when switched on and off.